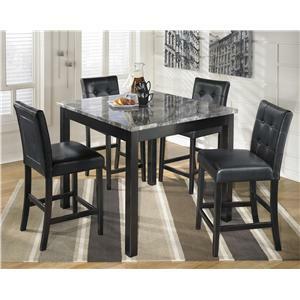 Capture the simplicity of modern design with this three piece counter height dining set. 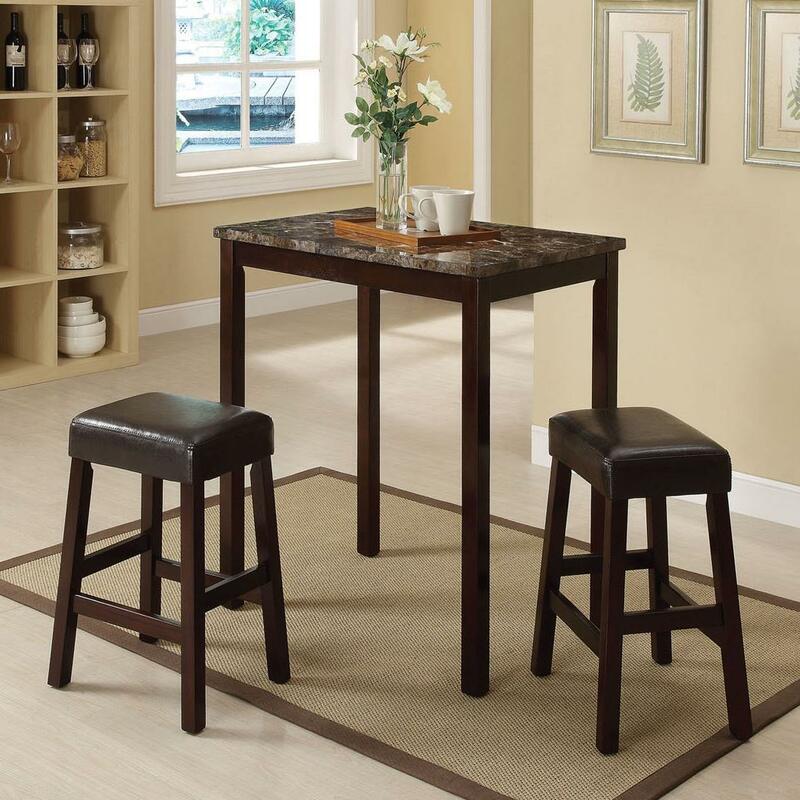 Equipped with two backless counter height stools and a basic rectangular counter height table, this set brings a serene sense of minimalism to your home, enhanced by the earthy tones in the espresso finish and tangled marble veneer. 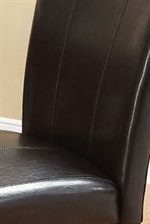 Though it may appear simple, leather-like upholstery on the stool seat and the marbled veneer top add an element of urban refinement. Sophisticated and simple, this three piece counter height dining set gives you contemporary design perfect for a smaller loft dining room or bar area. 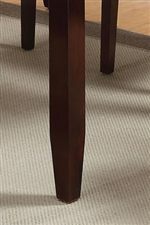 The Idris 3 Piece Counter Height Dining Set with Backless Stools by Acme Furniture at Furniture Superstore - NM in the Albuquerque, Los Ranchos De Albuquerque, Rio Rancho, Santa Fe, Corrales, NM area. Product availability may vary. Contact us for the most current availability on this product.